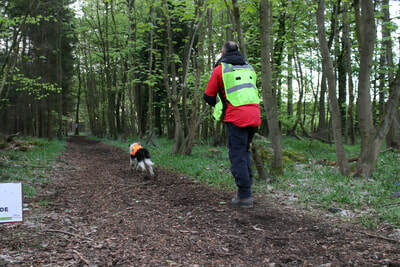 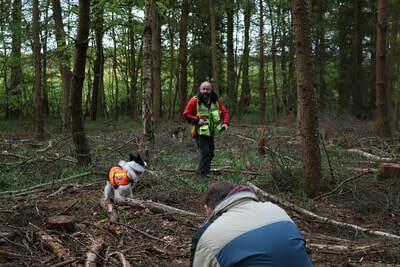 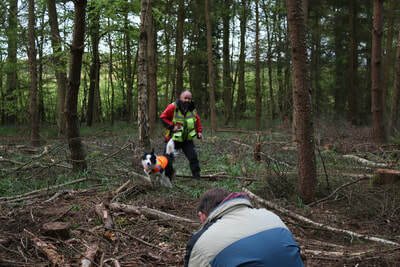 ​Search dog Dyno & his handler Matt. 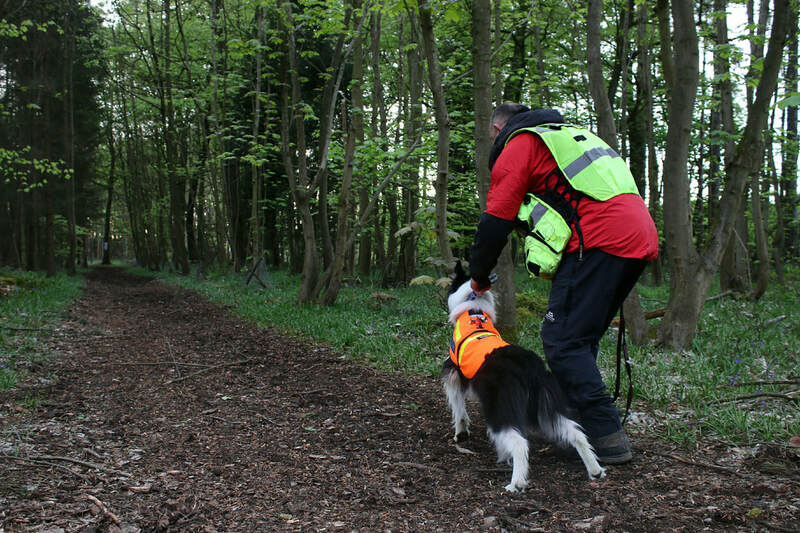 It is with great sadness that SARA Wyre Forest recieved news of the death of our search dog - Dyno last December. Station Chairman James Bamforth said, “The duo of Matt and Dyno were an incredible asset to the team, they were rarely separated and you would often find that you wouldn’t get one without the other. 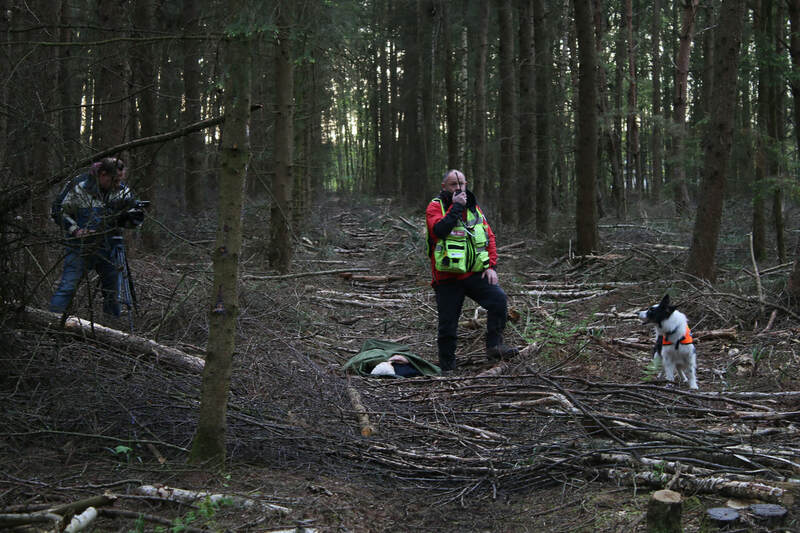 Matt had spent much of his free time training with Dyno, often sacrificing his lie-ins to go “play” hide and seek in all weathers and terrains. 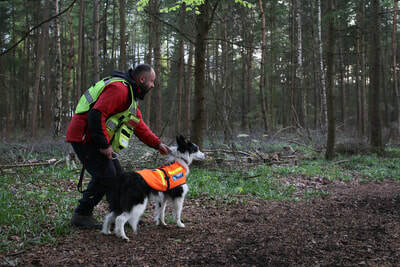 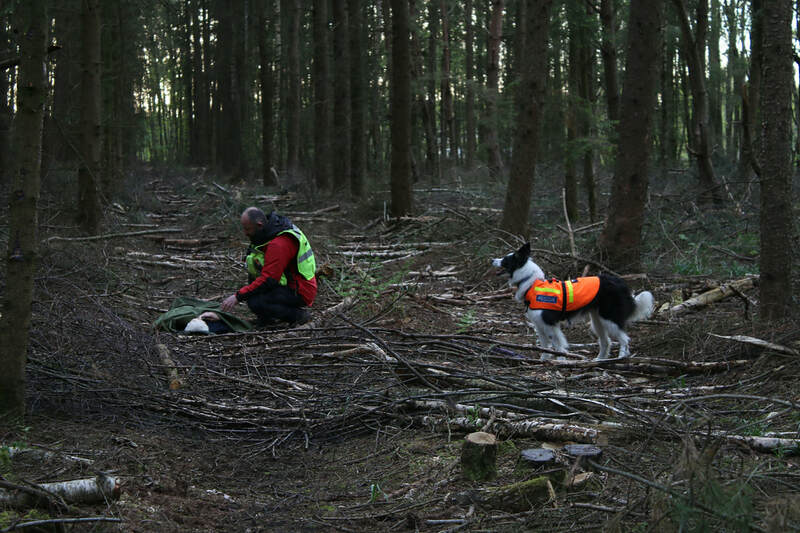 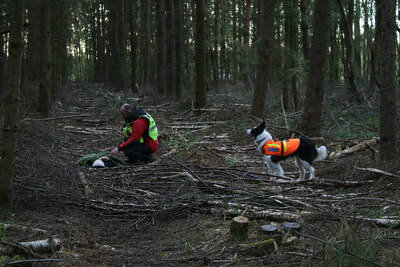 There is a particular, un-definable connection forged between a search dog and their handler, as some people will appreciate if you have had the honor to witness it”. 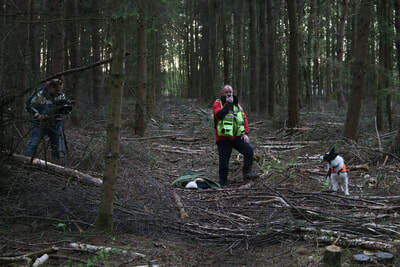 Dyno was a Lowland search and rescue dog for SARA Wyre Forest and is on call 24/7 for West Midlands Police to help to find missing people. 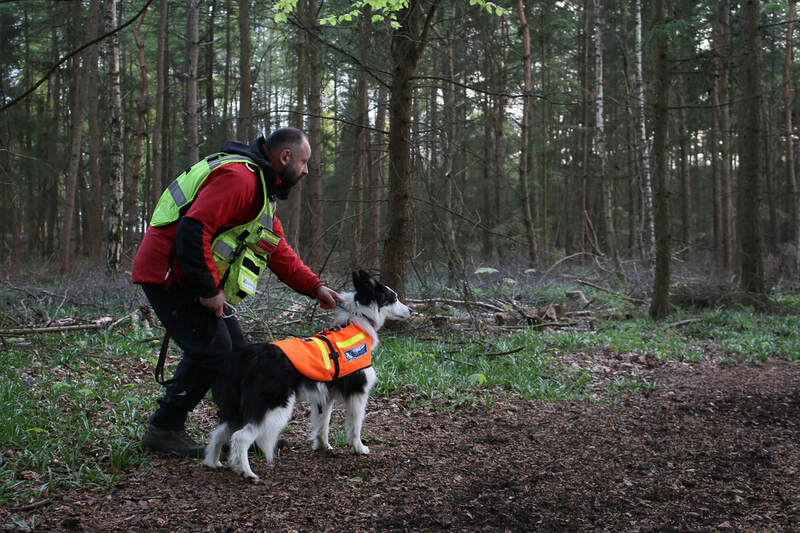 "It took 2 and half years to get Dyno to the Search and Rescue Search Dog Standard, although he picked up searching quite quickly”. 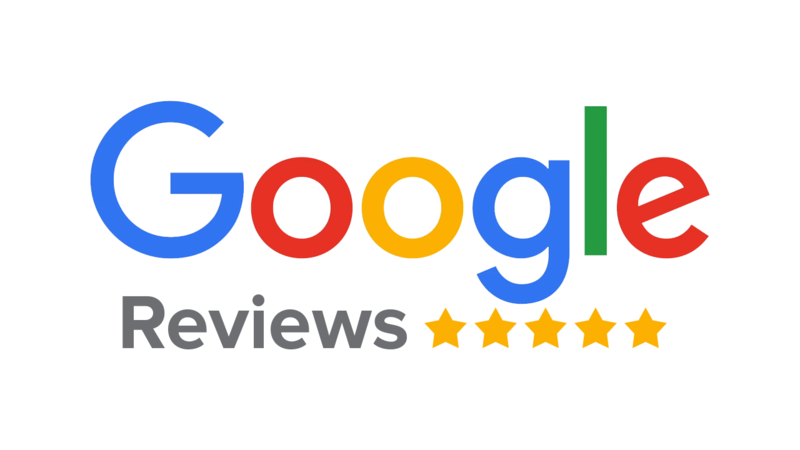 ​Dyno passed a strict obedience acceptance test and also a stock test to show that he had no interest in sheep, quite a challenge, especially being a Border Collie”. 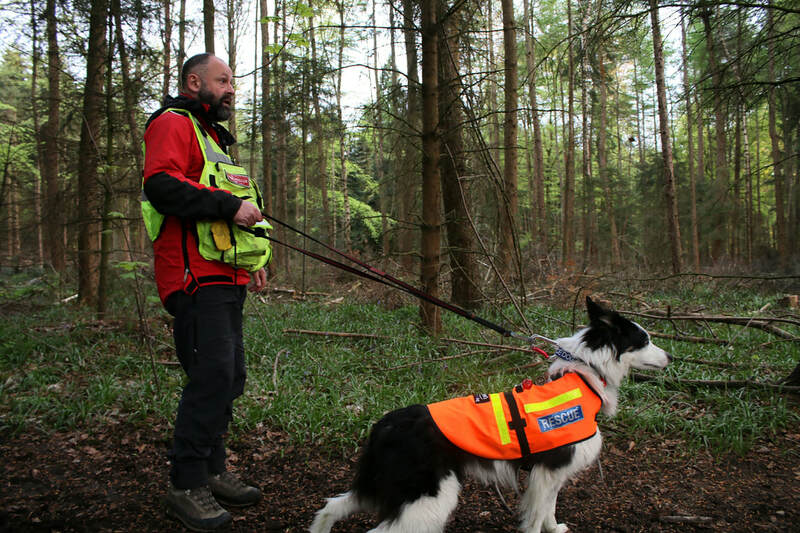 Matt and Dyno were accredited by NASDU, the National Association of Security Dog Users. 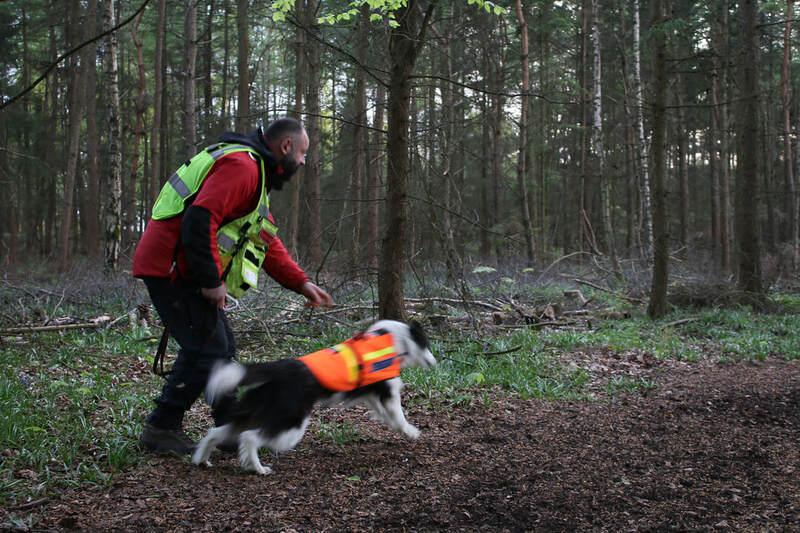 This agency governs and trains dogs for the police and security services, including the MOD. 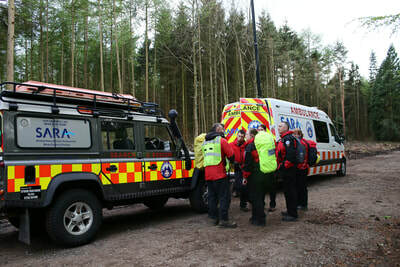 This is unlike most Mountain Rescue and other search teams who are registered with NSARDA, SARDA or Lowland Rescue. 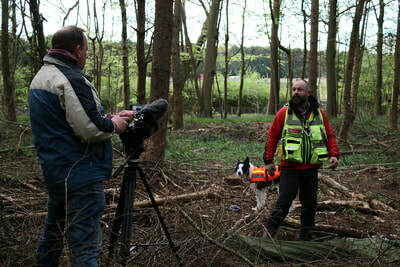 Matt has been clear on this point from the outset of his work with us. 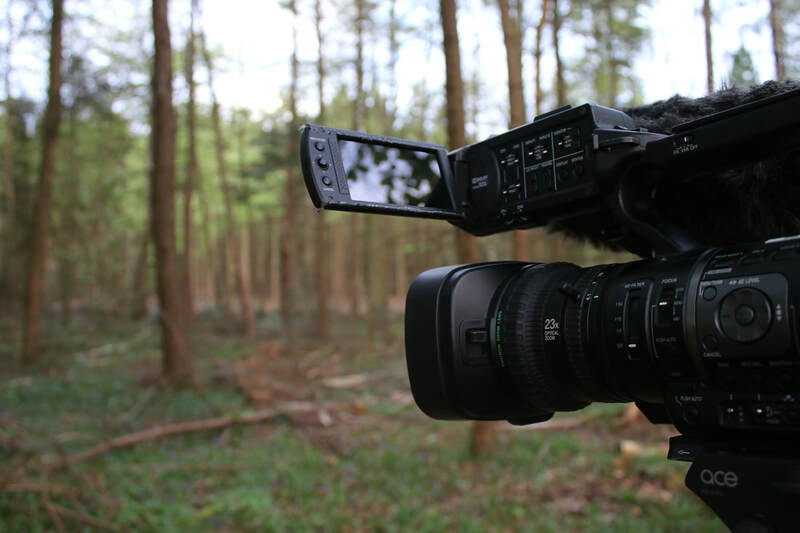 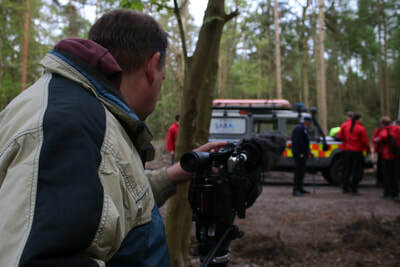 However, this did not detract from the skills and expertise of this partnership, they demonstrated time and again their worth within SARA Wyre Forest. "We work closely with dog handler instructors within West Midlands Police and West Mercia Police to ensure the highest standards are met". 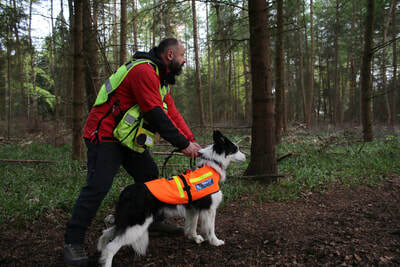 SARA Wyre Forest, will continue to fully support the hard work and dedication shown by Matt; all assets available to this team will be deployed during our response to search and rescue of those in danger. 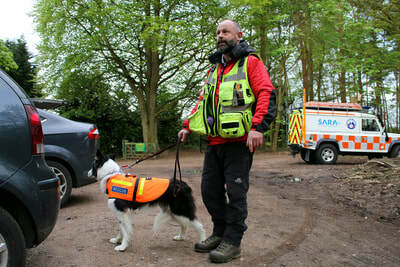 ​Border Collie Dyno was adopted by Matthew Massey as a six-month-old puppy from the Dogs Trust Shrewsbury rehoming centre. 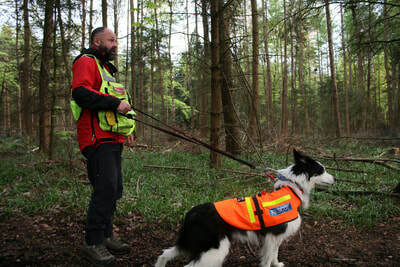 After years of training every other weekend, which Matthew fitted in alongside his job as a gardener. 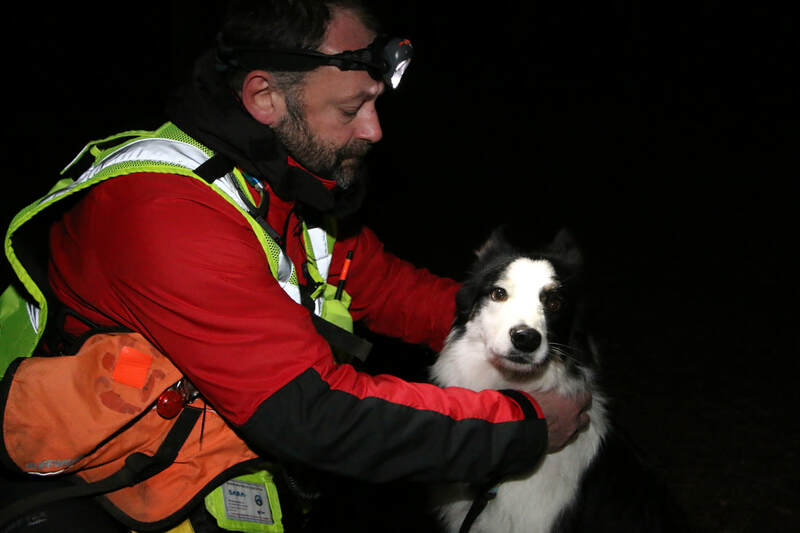 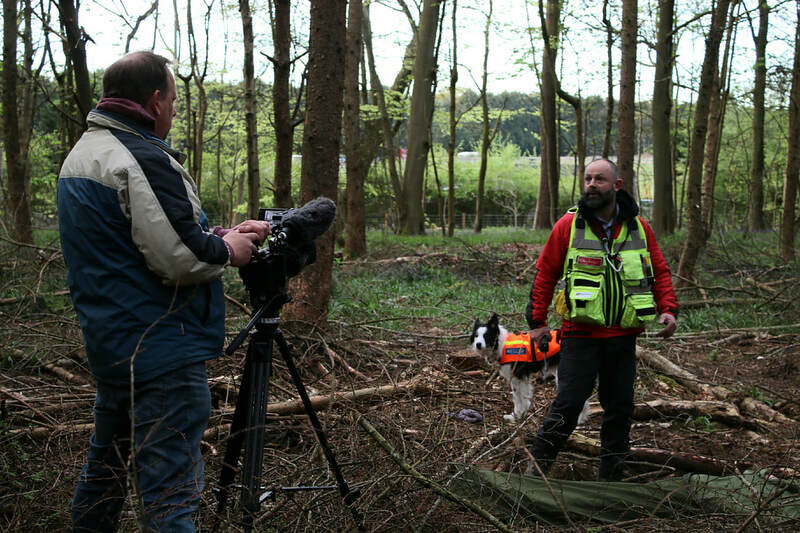 "Dyno goes from rescue dog to rescuer"
​Below is a selection of images with the BBC taken with Dyno and Crew getting ready for a search.